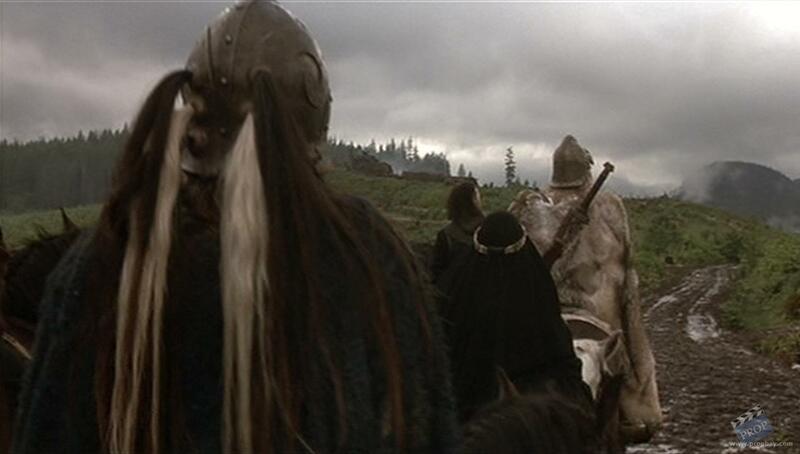 A helmet worn by Roneth the Horseman (Neil Maffin) in the 1999 action movie 13th Warrior starring Antonio Banderas. 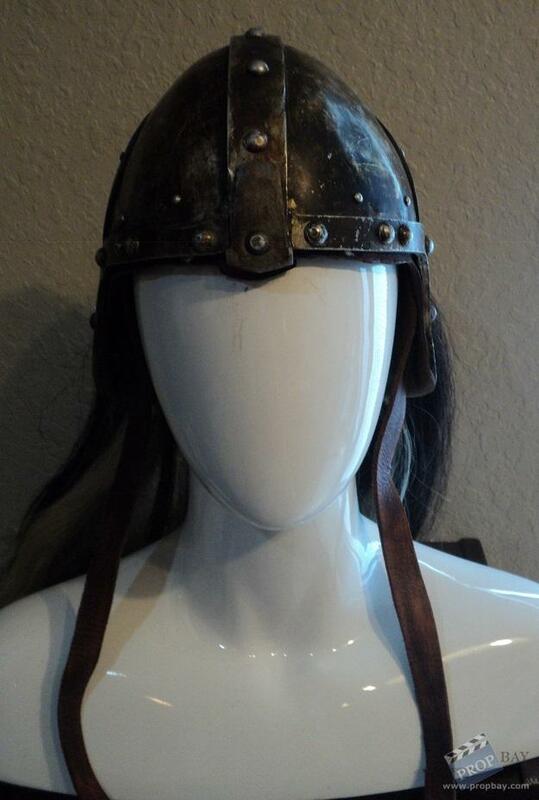 This hand made metal helmet has been aged and distressed by the art department and has 6 bunches of black and white plastic hair attached to the back. 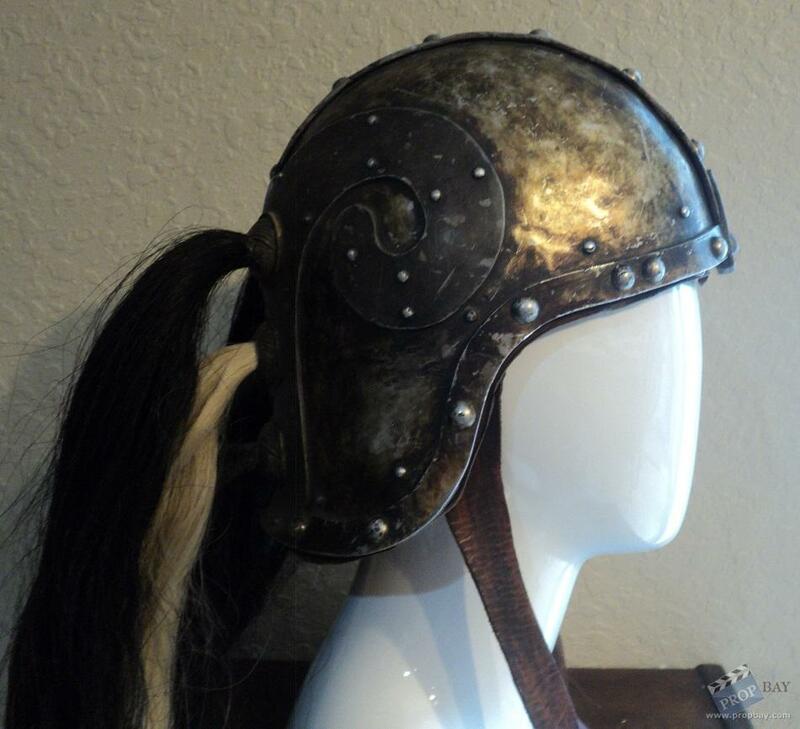 The helmet has several bands of metal around it which are held on with rivets and makes it easy to match on screen as well as a curved horn detail on either side. 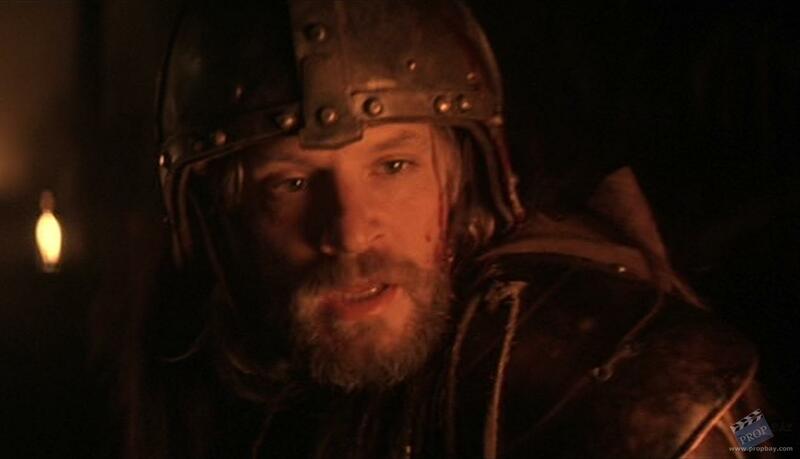 Inside are two layers of leather lining, a leather chin strap and modern foam padding around the forehead for the comfort of the actor. 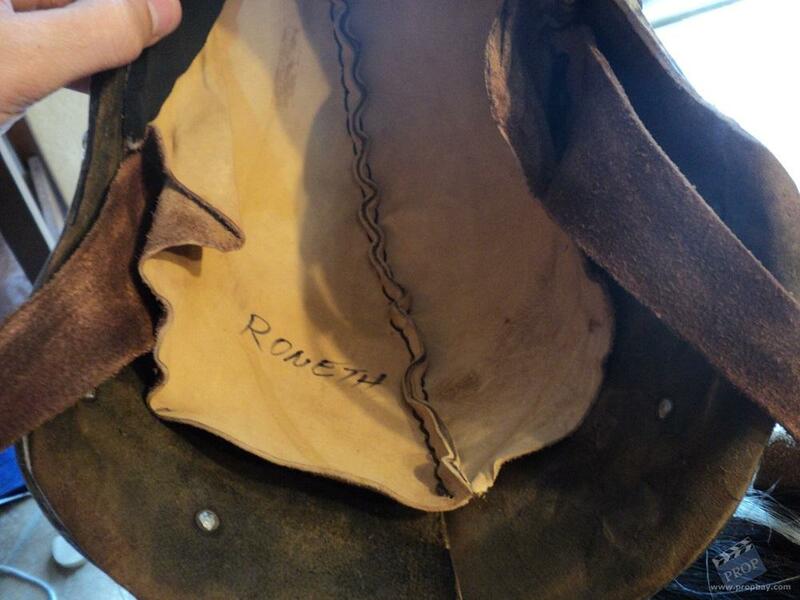 One of the linings has the name “Roneth” written in marker pen and shows signs of use on set. Measures 10.5” x 10” x 9”. 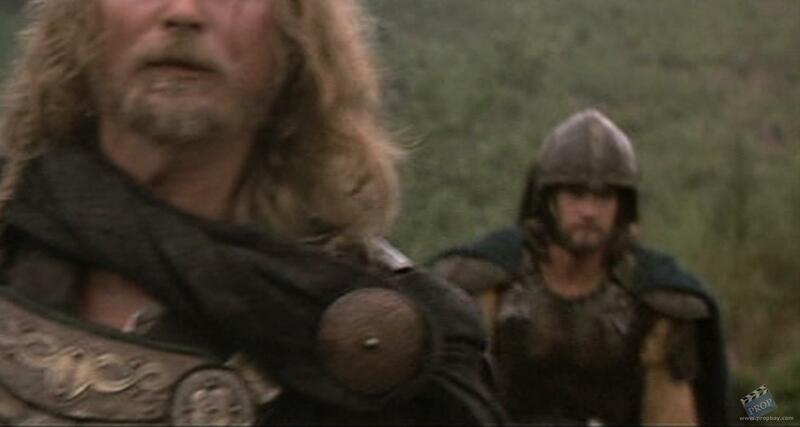 This particular helmet can be screen-matched to the scene when the 13 warriors arrive on the beach and are greeted by Hrothgar's herald. 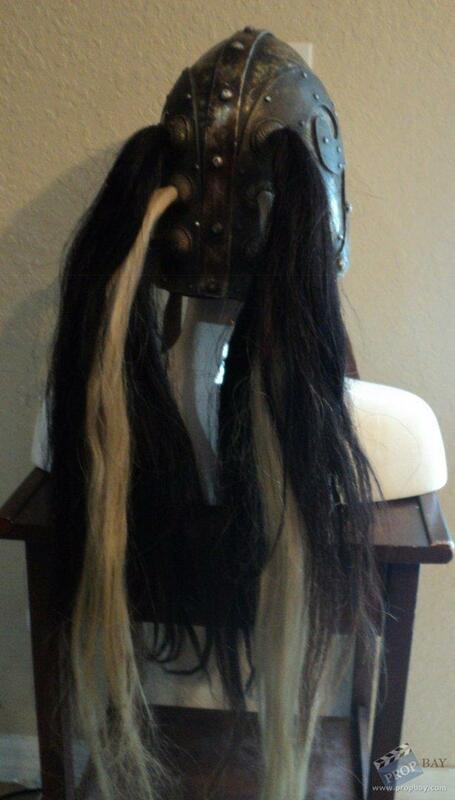 Has a COA from Prop Store. Added: 07-04-2013 - Viewed: 2162 times.